Here we have a lovely 'dolphin arm' series starting with this more simple two arm version. 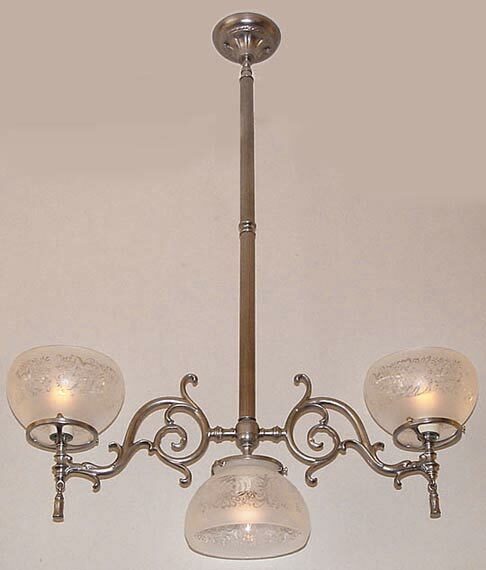 All heavy cast Italian Brass shown in antique pewter with gorgeous hand blown French acid etched frosted shades (a limited quantity of this shade is available). Note the cast 'tassle' below the arms. Can be designed with or without the added downlight, which can be replaced with a 3" ball or finial and with arms facing up or down. Free mounting hardware included. Shown in Antique Pewter. Available in different Metal Finishes, different Glass, Back Plate, more or fewer arms, arm direction, tubing style and many other Custom Options.